Madeleine Lemaire, nom d'artiste de Jeanne Magdelaine Colle (1854-1928) est une artiste peintre et aquarelliste française de genre académique. 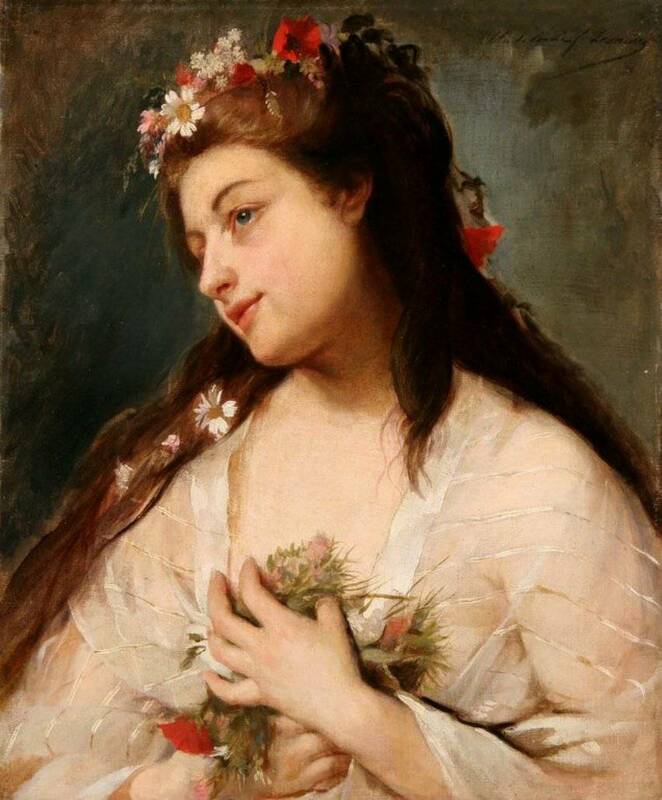 Madeleine Lemaire (1845–1928) was a French painter specialized in elegant genre works, and flowers. Robert de Montesquiou said she was The Empress of the Roses. She introduced Marcel Proust and Reynaldo Hahn to the Parisian salons of the aristocracy. She herself held a salon where she received high society in her hôtel particulier on the Rue de Monceau.